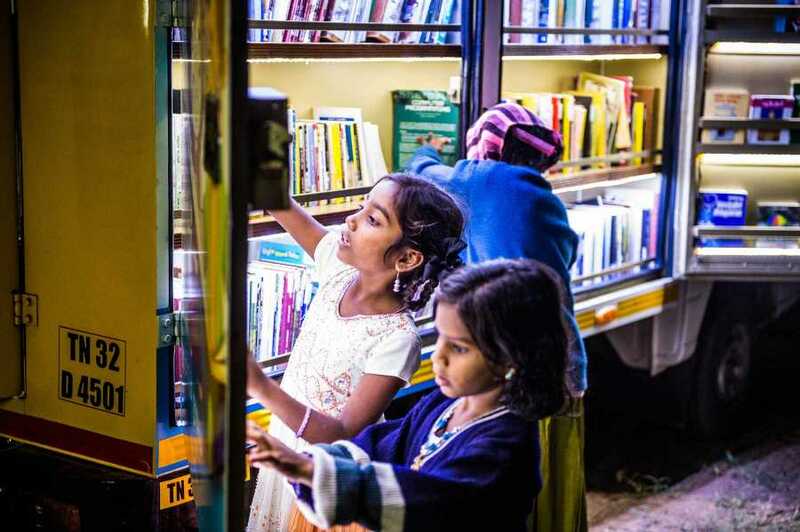 Few children living in the area have access to books other than their school texts. This limits their education to the narrow range of school subjects and stiffles their sense of curiosity and understanding of all that the world has to offer. Create a habit of reading among children to give them a constructive way to spend their time and to expand their minds and foster a love of learning. Government schools in and around of Tiruvannamalai, evening schools of Regenboog and many other places in Tiruvannamalai. 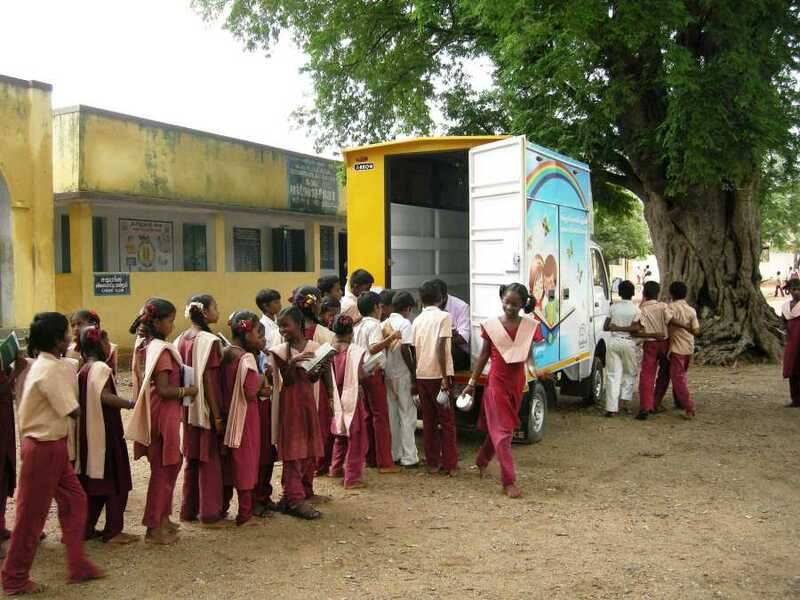 Regenboog distributes books to children in two ways, the Mobile Library Vehicle and a Motor Cycle Library. 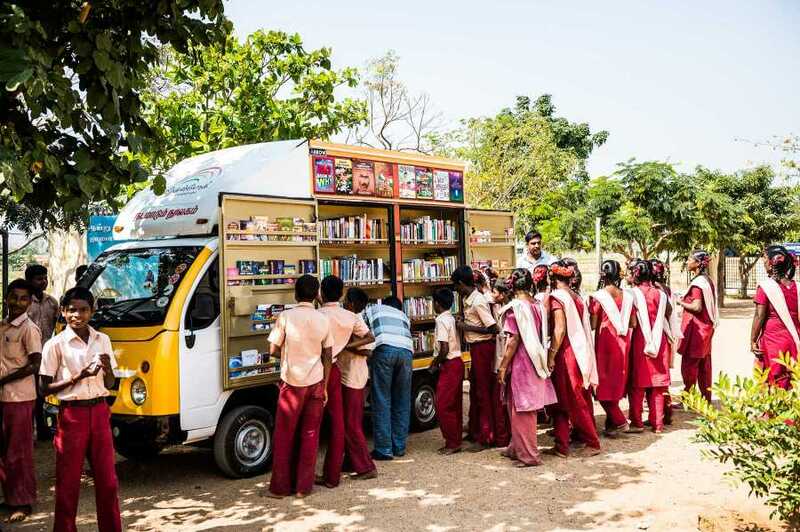 The Mobile Library Vehicle travels with over 3,000 books out of a collection of over 10,000 books to many government schools during the day and also on a few evenings to other areas. The Motor Cycle Library distributes books to our Evening Schools and other neighborhoods in the evenings. Every child gets a membership card and the whole library system is computerized which makes the job easy and saves time to visit new places. 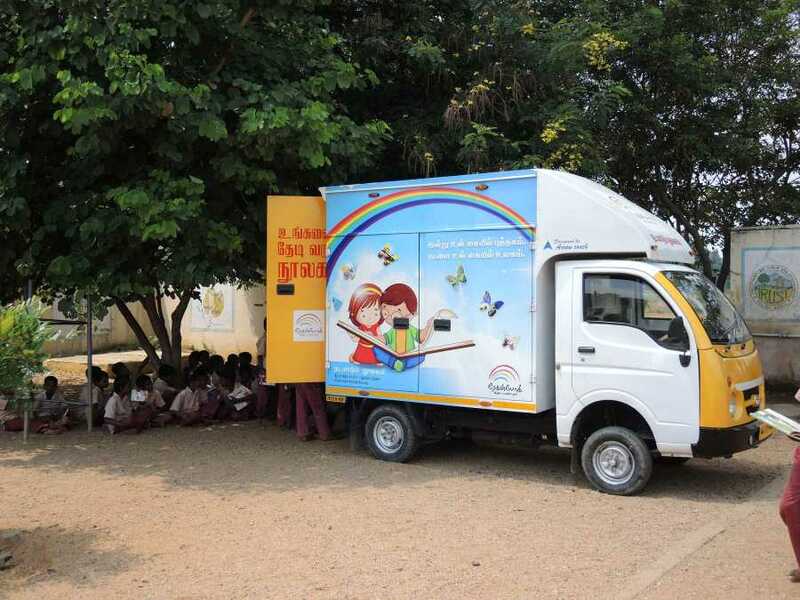 These two vehicles visit each of their designated places every alternate week, so the children are able to check out and return books every two weeks. Regenboog staff members engage the children in conversations about the book they just read, what they learned, and what they would like to read next. Last year the mobile library project made over 11,000 book distributions which is a testiment to how much the children have enjoyed reading. The other testiment is watching the children's expression of eagerness and happiness when they see the Library coming!